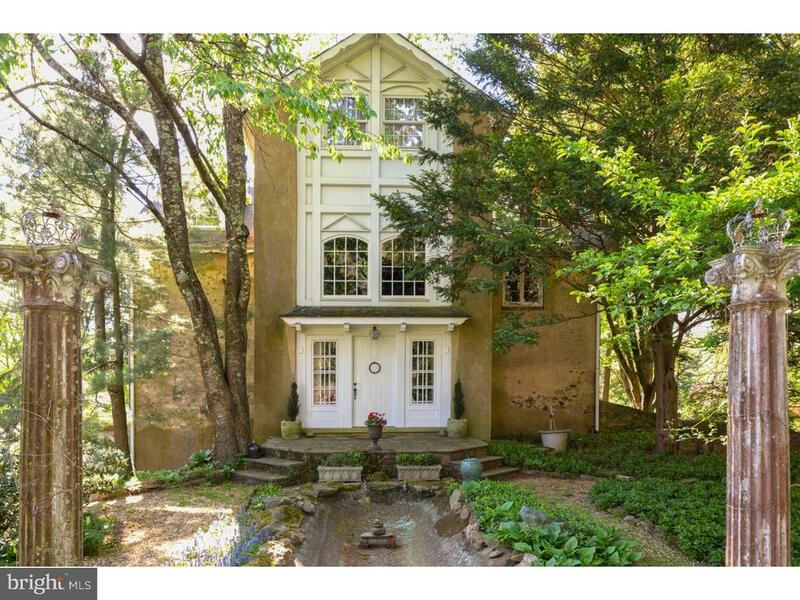 One of the best barn conversions in bucks county! Design concept and implementation by renowned princeton architect, rolf w bauhan appropriate adaptive use of unique house parts gleaned from period residences being taken down when the blue route was begun. The result, complimented by recent updating, has resulted in an astounding residence. Set near buckingham's burnt house hill bridge, adjacent and across from beautiful historic restorations, this 200-year-old, 4-story residence offers 5,500 square feet of warmth, character and romance. Amenities on the 2 acres include a 1,000 square foot ranch cottage with fireplace, a 2-story, 2-bay carriage house, a large heated shop building and a drive-in corn crib. The well pump room, once a fortified bomb shelter, makes a great wine storage room. The house has three fireplaces, stone walls, exposed beams, marble-floored baths, wood floors and lots of french doors. It has a buderus furnace with 8 zones and propane cooking in the recently renovated dine-in kitchen with marble counters, thermador gas cooktop, sub-zero refrigerator, gas and electric ovens and hand painted floor. Library shelves have rolling ladder; mezzanine has custom gothic railing. Exterior features include 900 gallon koi pond, iron fencing, courtyard, covered terrace, and stone stairways. Seller recently removed stucco from the facade and replaced it with beautiful siding for a fresh, new update! This quality built, architectural home in fox hunt estates distinguishes itself by the feeling you have entering the front door. The light-filled interior has 6-foot casement windows, and a 9-foot ceiling throughout that brings the outdoors into the interior living quarters with private views of the landscaped property. Upon entering, an elegant, wide, wooden staircase with a balcony greets you. To the right is a 2-story acoustically designed music room featuring a beautiful carrera marble surround gas fireplace perfect for house concerts and holiday entertainment. To the left is a large dining room leading to the gourmet kitchen which has granite countertops, 6-foot tall cabinetry and open shelving, butcher-block island with a baker~s station, an oversized stainless-steel sink, built-in ge professional refrigerator, stainless-steel wine refrigerator and stainless-steel double ovens. The sun-drenched breakfast room with a skylight overhead includes floor to ceiling windows, custom bookshelves and leads to the screened in three-season porch. Also near the kitchen is a rear staircase to the second floor. The family room has sliding doors opening to a private fenced in back yard for children and pets to play with security. A full masonry, large firebox, wood burning fireplace and handmade tile surround create a warm glow to this family centric home. The office boasts french doors, built-ins another set of glass sliding doors. Additionally, the home includes a multiroom speaker system throughout. The spacious private master suite on the 2nd level offers a lovely 3-sided gas fireplace, sitting room, 2 walk-in closets, 2 additional closets, a master balcony and wooded views. Two additional large bedrooms each with 8 feet wide window seats share a private jack and jill bath. A multiple use suite with two skylights complete with a walk-in closet and private bathroom round out the second floor. Sitting on 1. 38 acres, this 4,968 square foot house provides living options and flexibility for the next generation of growing children and aging parents, hobby rooms, space for house guests and more. Additionally, the full basement with 9-foot ceilings is plumbed for a full bath and awaits your personal touches. The landscaped property with a circular driveway, 3 car garage and lawn mower service door provide generous parking opportunities. 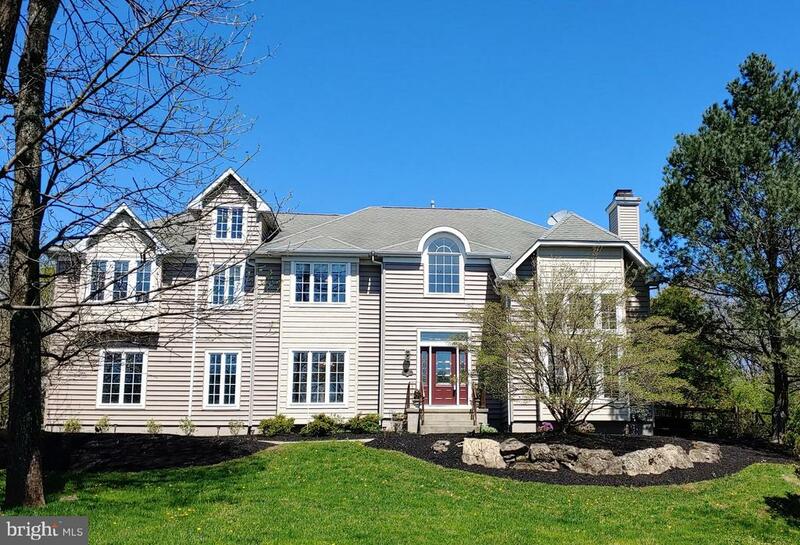 This beautifully situated custom home in central bucks school district has natural gas, one of a handful of homes in fox hunt. Come see and feel this beautiful home for yourself! 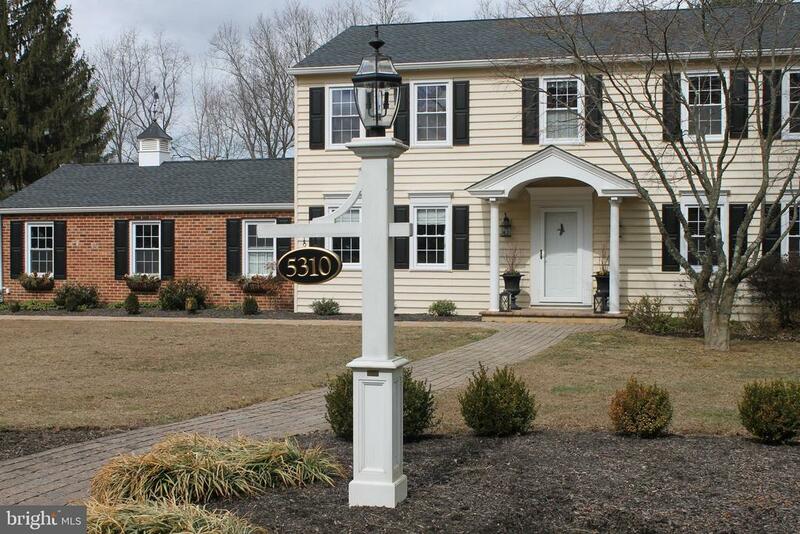 Charming custom home in doylestown boro, adjacent to font hill park. Victorian-style appeal with dramatic roof lines, covered front porch with tin roof, and wrap-around deck with pergola. On a larger corner lot with completely fenced yard, the exterior siding is maintenance-free composite siding. The open floor plan is light filled and spacious with vaulted ceilings and abundant windows, while keeping a homey feel with french doors, custom plantation shutters and intimate accents. The kitchen is a cook's dream with rich custom cabintry, viking, kitchenaid and ge appliances, center island, task/under-counter lighting and granite counters. The breakfast room has french doors out to the rear deck overlooking a gently flowing stream, which is also accessed via the family room with woodburning fireplace. The oversized main bedroom suite has a luxurious bath and 2 walk-in closets. There's an additional junior suite with private bath, and two other bedrooms sharing jack-n-jill bath. Many upgrades, including hardwood floors throughout and finished basement w/ full bath! This home is a wonderful choice for boro living without the quirks of an older home! 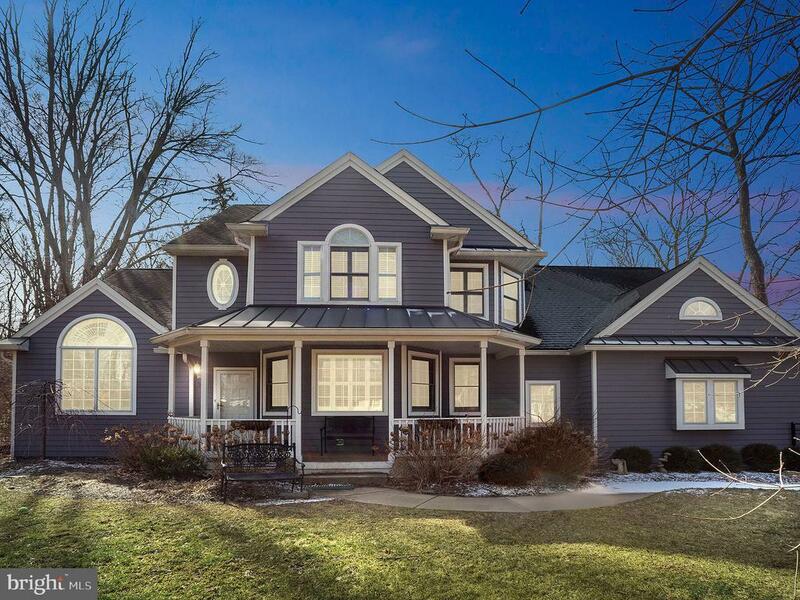 This stunning buckingham home exudes pride of ownership. 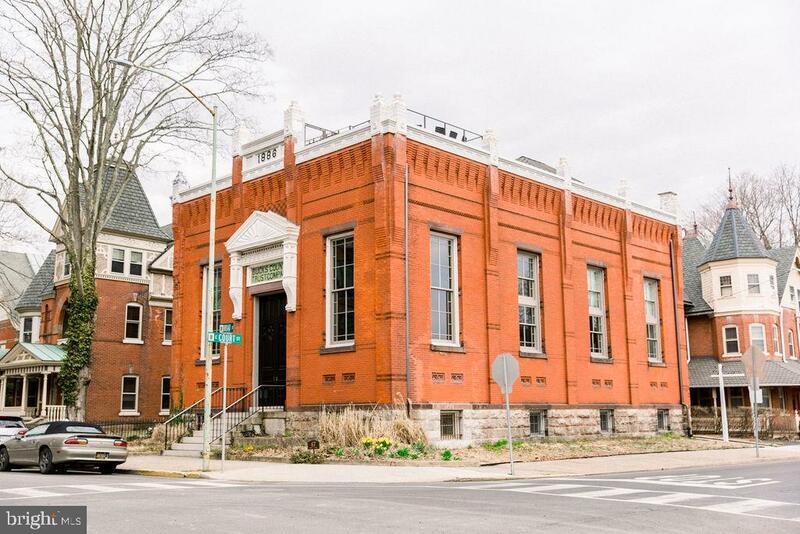 It has been lovingly maintained, artfully updated and beautifully expanded over the years. 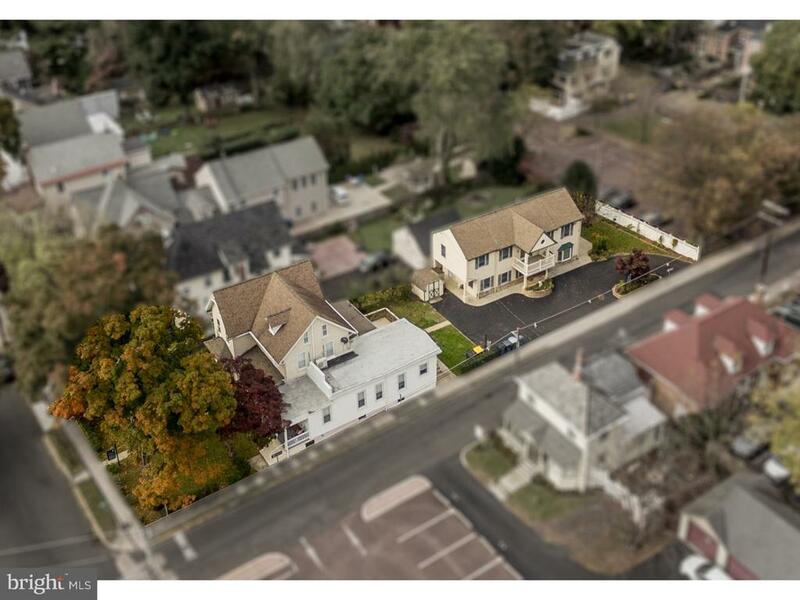 Only 5 minutes to the charm of doylestown and 10 minutes into nj, you will feel a world away in this small enclave of homes with only 4 streets in the neighborhood. This corner lot is at the end of a dead-end street. Improvements made in 2017 include a new front walkway, new front storm door, new pool heater and cover, and a new roof with 50-year transferable warranty. In 2018 new quartz countertops, sink and faucet were installed in the kitchen. In the same year new fencing was installed as well as new piping in the basement. Make sure you print out the original builder's floor plan that has been uploaded to the listing and take it with you on the showing so you can appreciate all the beautiful changes made to the 1st floor level. A fabulous 26x20 addition was added to the back of the house boasting soaring 2 story ceilings, beams, skylights, and hardwood floors. Custom woodwork on either side of the large wood burning fireplace contains storage and a place to retract the tv after you are finished watching it. There is a massive window overlooking the idyllic backyard that has a cozy window seat where you can read a book or just enjoy the view. You will notice the foyer was closed off from the kitchen to create a large walk in pantry. Some width was removed from the living room to provide another pathway to the back of the home. They also created an opening between the living room and family room to allow for greater flow on the 1st floor. The family room features hardwood floors, recessed lights, custom wood mantel and trim around the gas fireplace which is open to the kitchen and addition. The gourmet kitchen is a cook's dream with a dacor range, bosch dishwasher, and built-in sub-zero refrigerator. The island with granite countertops has a bosch cooktop and a bosch oven creating a 2nd cooking station. More great features of the kitchen include hardwood floors, recessed lights, large pantry, access to the fabulous addition, and a bookcase that opens to give you access to the basement level of the home. The dining room is currently staged as a lovely sitting area that could easily be returned to its original purpose. Finishing off the 1st floor is the laundry room which connects the 2-car garage to the house. The powder room is off the laundry room and provides convenient access for those enjoying the in-ground pool in the backyard. Upstairs you will find hardwood floors in the master bedroom and hallway. The hall bath has been updated. The bath in the main bedroom has a new vanity, fixture and mirror. The dressing area that is between the bath and the walk-in closet provides nice additional space for someone desiring to do a sumptuous master bath remodel in the future. 3 other generous sized bedrooms complete the upstairs level. The backyard is an amazing oasis. Step out of the addition onto the deck and down one step unto the paver patio, the perfect place to relax. The bumpy in-ground pool is the center piece of the backyard and all the pool mechanicals are housed in the adorable stone structure made to look like historic springhouse. Stockade fencing down the sides of the rear yard and a full tree line across the back of the property creates the ultimate privacy. Every detail has been considered and added to this home, probably the most useful of all, a whole house generator! If you desire to own a home where every detail has been considered for ease of enjoyment, then don't delay homes of this quality generally do not stay on the market long! 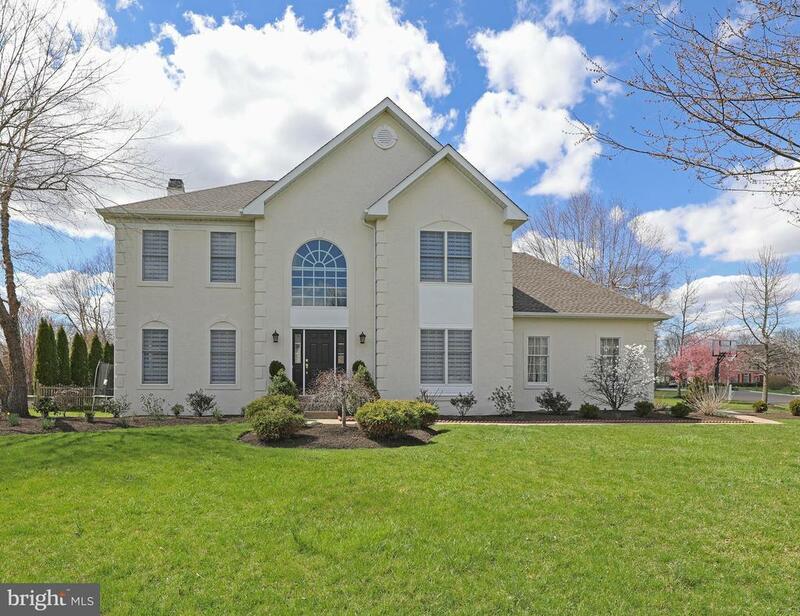 Immaculate home with updates and upgrades where it matters most; welcome to cold spring hunt within the national blue ribbon central bucks school district. Enter your home into a two-story foyer and take in the beauty of the gleaming hard-wood floors and grand staircase. This home lends itself to intimate evenings at home or entertaining family and friends as the living room is generously sized which flows into the great room with a wood burning fireplace, or can be closed off for privacy by the lovely french doors. The kitchen has been remodeled (2019) for those chef-enthusiasts and allows for plenty of prep space, cabinetry and serving space, along with the beauty of light granite and detailed tile-work. A walk-in butlers pantry and additional closet gives limitless space for all your mixers and ingredients. Warming drawer under the 5 plus burner gas stove will make cooking multiple delicacies a breeze. The light filled space overlooks a deck where you can enjoy your morning cup of coffee in your quaint and professionally landscaped yard. A separate entry from the yard to the mudroom/laundry room makes clean-up easy and folding laundry on a custom counter-top a more accepting task. Off the laundry/kitchen area is a bonus room which can serve as an office, craft-room ,exercise room, or tv room; rounding out the first floor. The second floor you will find your large master suite with tray ceiling, space for a sitting area to tuck away and read at night, along with a newly renovated bathroom (2019) with an air jacuzzi tub to relax in and loosen up those tired muscles after a long day. Three other bedrooms and a shared hall bath finish off your lovely second level of living with the bonus of wood flooring. If you are looking for a game room, home theater or an area to tuck extra guests away, the large unfinished basement will intrigue you. High ceilings and a large footprint will make finishing this space a dream. Excellent location only minutes from doylestown boro while still experiencing the convenient access to new jersey, philly and new hope. Welcome to your forever. Stunning home, exquisite taste and low maintenance. A replica of the model home in the luxury neighborhood of carriage hill, the abingshire floor plan is complete with 4 bedrooms, 3-1/2 bathrooms and a 2 car garage and offers all the bells and whistles! These include covered front porch with composite decking , 9 ft ceilings on all 3 levels, wide plank hardwood flooring throughout first floor, upgraded trim package, central vac, tray ceilings, double french door entry and formal dining room. Additional amenities include gourmet kitchen with upgraded antique white 42" cabinets, self-closing slides on drawers, level 3 granite counters, stainless steel appliances, oversized kitchen island & 2 pantry closets. The breakfast bar overlooks the bonus morning room with french door leading out back and a butler's station with granite off the kitchen. An elegant open family room with gas fireplace, full oak turned staircase leads you upstairs to conveniently located laundry room complete with washer, dryer and laundry tub. The owner's suite, with tray ceiling, has two walk-in closets with custom built-in's and an owner's spa-inspired bathroom with soaking tub, oversized shower stall with seat, double vanities with granite countertops and a water closet. The list continues with a fully finished basement with full bathroom for lots of family fun and entertaining - all windows are double hung, low e, argon gas filled windows - 2 zone programmable heating and cooling. Adjacent to the community is a new park featuring a club house, basketball courts, baseball and soccer fields. The overlook at carriage hill is located just minutes from peace valley park and popular doylestown, with an abundance of shopping, dining, and museums. Wow! 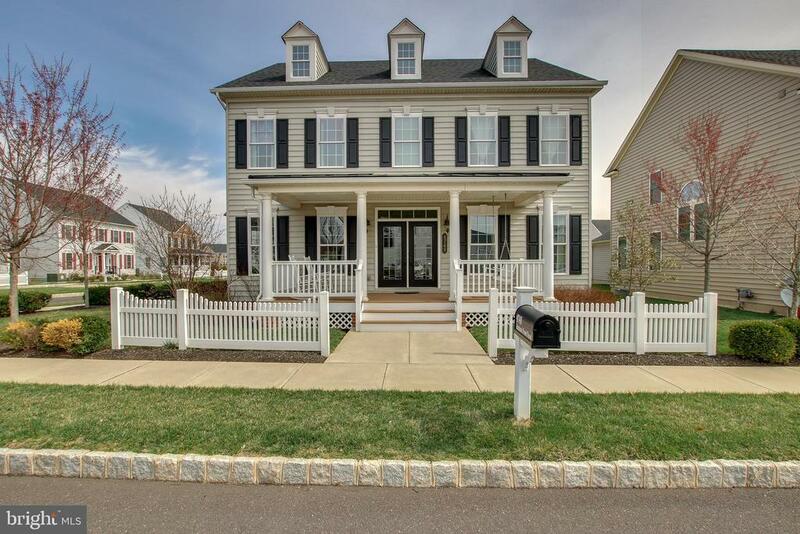 This 3178-sf 5 bedroom colonial home includes a separate oversize 3+ car garage (32'x 48'), features an in-law suite and is in central bucks school district. There are a ton of possibilities with this property on a 1+ acre lot. Enter the home into the slate floor foyer and through the french doors into the living room with beautiful hardwood floors leading to the dining room. This home also features a huge eat in kitchen with solid cherry cabinets. There is a cozy family room w/ genuine stone fireplace and oak hardwood floor and entrance to the large patio in the backyard. The side of the home has a private entrance with a renovated half bath perfect for a 1st floor in-law suite or home office. Entertain in the remodeled lower level with two large rooms (built-in custom bar) and separate utility room. This bright home features 4 large bedrooms on the 2nd floor, 2 baths and has hardwood floor throughout the entire home under the carpets. If you are a car enthusiast, this is the property for you. The garage doors are oversized allowing for plenty of trucks and work equipment. Additionally, the huge garage has a finished 2nd floor with heating. This amazing home has three road frontages, a tranquil setting and it runs from corner to corner. Don't miss out on this opportunity to call this place your home!